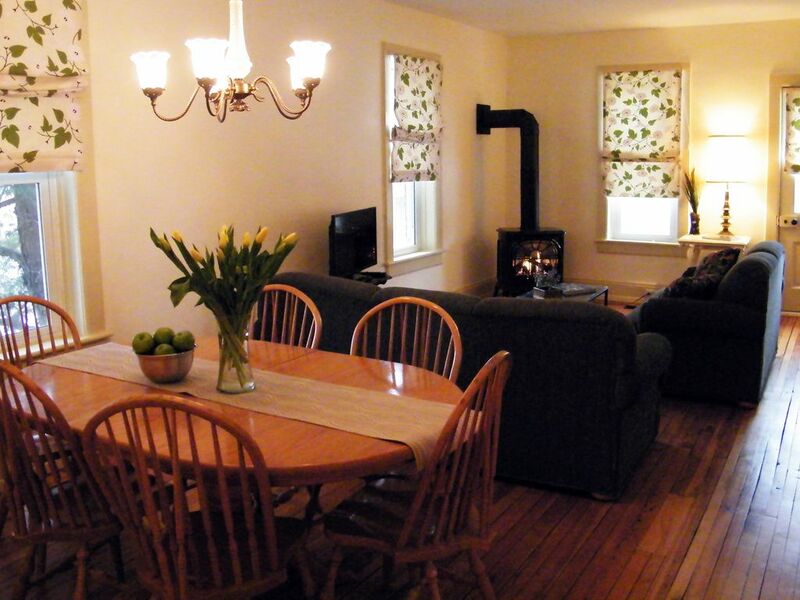 12 Elm was a fantastic place to stay-very clean and short walk to great restaurants. Check in was easy and hosts were very welcoming. Would recommend to anyone looking for a perfect winter get-a-way. We really enjoyed our stay here and the owners had left lots of information about the locality and some welcome goodies, which was a very thoughtful touch. Great location and a really cosy base from which to explore the area. We could travel to Algonquin provincial park easily from here and also visited many craft studios in the area. Wish we had stayed longer. This property was clean, well equipped and in an excellent location. The owner was easy to contact and very accommodating. I would recommend this property and would love to return in the future. Convenient position for Huntsville and surrounding areas we wanted to visit, property would benefit from a microwave and some shelving or drawers in main bedroom as had to live out of suitcase for anything other than hanging clothing (possibly OK for a couple of days but we were touring Ontario from UK).On a personal note the metal curtain tieback in the main bedroom is difficult to avoid due to position of bed to allow door to be opened. The house was pleasantly cool in the heatwave in Ontario during our visit,and otherwise well equipped,and provided what we needed as a base to explore Moskoka and Algonquin. Thanks Linda and Al. Fantastic experience. Linda and Al were great hosts. Upon arrival at Linda and Al's place we were warmly welcomed with some tasty goodies! Their place was perfect for our needs and we very much enjoyed our stay. Charming century home, comfortable and spotless! We felt very much at home at this cozy property. It is spotless throughout and offers ample space - a large kitchen with everything necessary, a well appointed bathroom (with toiletries and plenty of towels of hotel quality), a comfortable dining/living room with TV and charming corner fireplace, and two quiet bedrooms with cozy beds and luxurious linens. A lovely welcome gesture from the owner: on arrival we found bread, pastry, and a bottle of wine - much appreciated! We thoroughly enjoyed our stay.